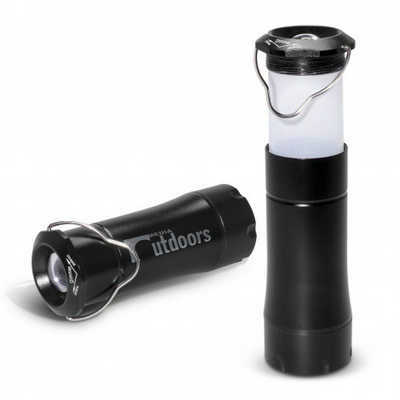 A dual purpose flashlight which converts into a lantern. It has a handy metal handle and uses three AAA batteries which are included. Blaze laser engraves to an oxidised white colour. Colours: Black. Dimension: Dia 38mm x H 101mm (closed). Print Description: 20mm x 35mm. Print Type: Pad Print. Packing: Individual box. . Price includes : Printing Per Col/Pos . Setup is included.